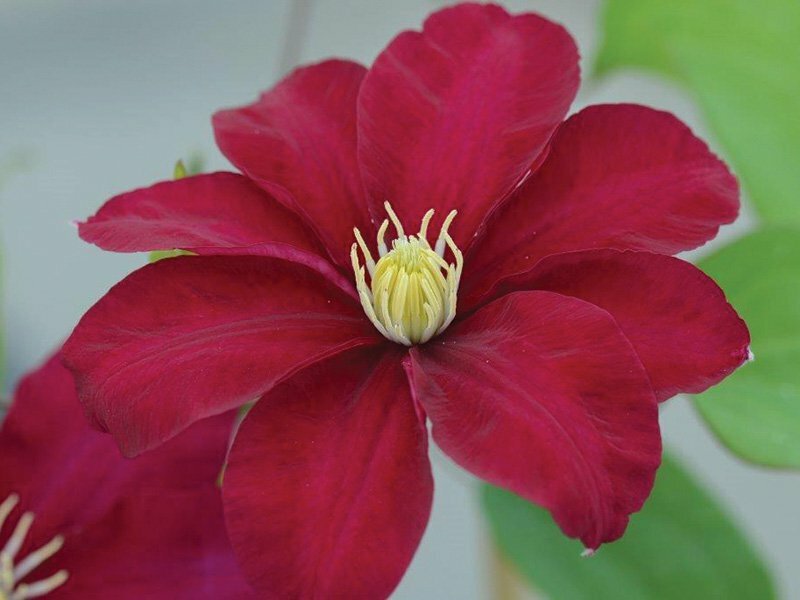 Issey™ Evipo081(N) is one of the latest new clematis to be bred by Evison/Poulsen at Guernsey Clematis Nursery. It has bright red spring blooms with a yellow centre flowering off the old and new wood. It has a compact habit and is exceptionally free-flowering. It has a good repeat flowering habit. Its main flowering period is late spring-early summer and it flowers again late summer-early autumn. The late summer and early autumn flowers are smaller in size but are produced very freely giving a mass of flowers. The red colour of the flowers is very intense and the sepals are offset by yellow anthers. Ideal for growing in a container in the garden.